A California man could lose his hand after he was bitten by a rattlesnake he tried to pick up and take a selfie with. Alex Gomez, 36, was bitten by the 1.2m rattler in a field at his family’s ranch in Lake Elsinore, a community about 100km southeast of Los Angeles. 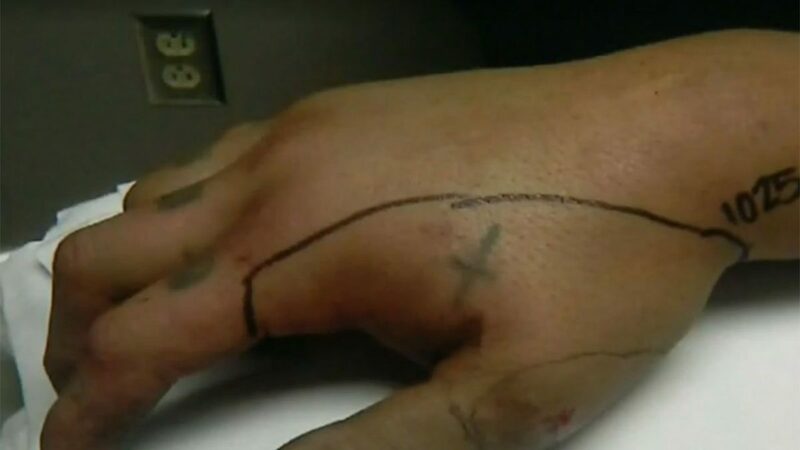 Alex Gomez’s mother, Deborah, told KCBS that her son’s “skin is already rotting away,” and he may his hand because of the bite wound. The man’s hand swelled up after the bite, and he was taken to a local hospital and treated with anti-venom, according to the station. Rattlesnakes, whose bites can be fatal, are found in many parts of California.